O’Harra Mellette Interiors was created in 2006 by Gracelyn O’Harra Elmendorf as an outgrowth of her studio art background, a passion for design, and the desire to refocus after a personal tragedy. 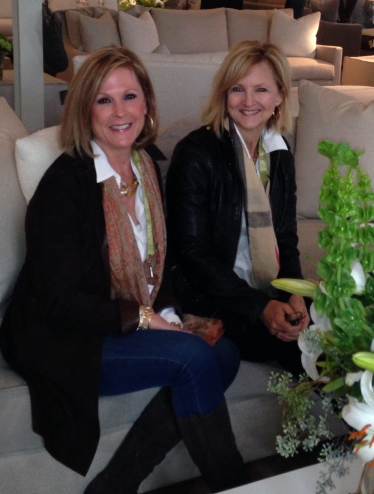 In 2011, after years of friendship and mentoring each other’s passion for design, Gracelyn and Elizabeth (Liz) Mellette Andrews joined forces to form a new company, O’Harra Mellette Interiors. Liz brings over 10 years of architectural, residential, and commercial design experience and a keen eye for detail to the partnership. O’Harra Mellette Interiors is a source for the ever changing home decor for those who are seeking to invest in quality and style that will remain timeless. Gracelyn and Liz work closely together with clients to create a look that reflects a sophisticated but comfortable and livable refuge. Their emphasis is on clean lines, found objects, one of a kind antiques, fabulous fabrics, trims, and art. Borrowing color palettes from nature and giving attention to every detail, O’Harra Mellette celebrates classic design with a mix of modern flair. In addition to interior design, they offer consultation throughout construction, on both commercial and residential projects, with a focus on kitchen and bath design, and development of interesting architectural elements.